There was a time when there were only a few primarily Caribbean people settled in Watford. 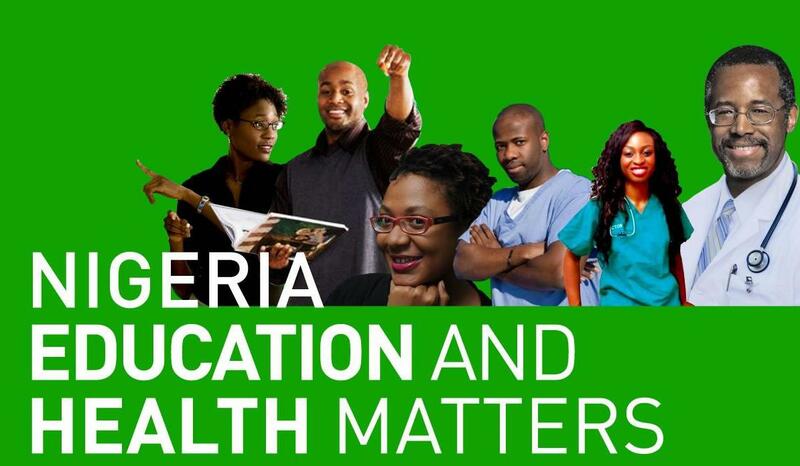 However, over the past 20 years the population of people of African heritage has greatly increased. 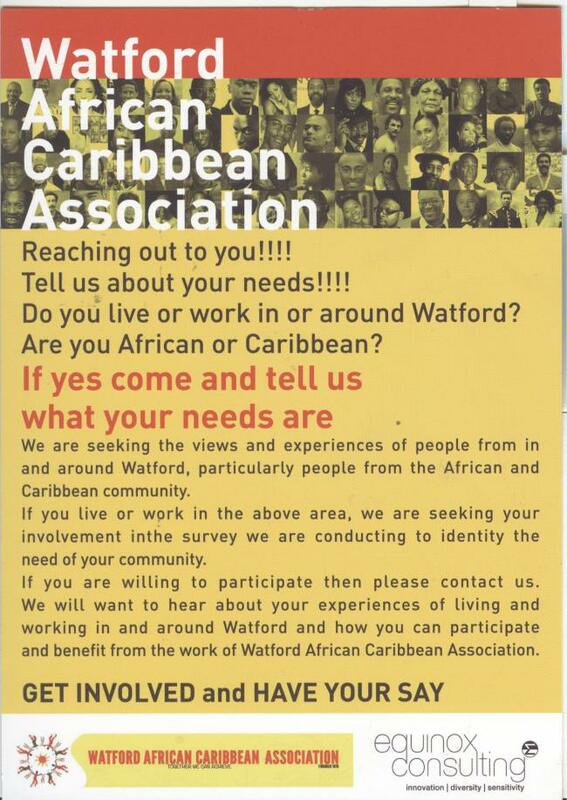 37 years ago in 1976, when the Watford African Caribbean Association (WACA) was formed, there were barely 500 African and Caribbean people in Watford and the outlying areas; then its concern was more about gathering people around and fostering particularly the Caribbean identity and projecting their culture. Now the community has changed dramatically and with it also the opportunity to cater for the needs of all the enlarged community as well as members of the wider community. 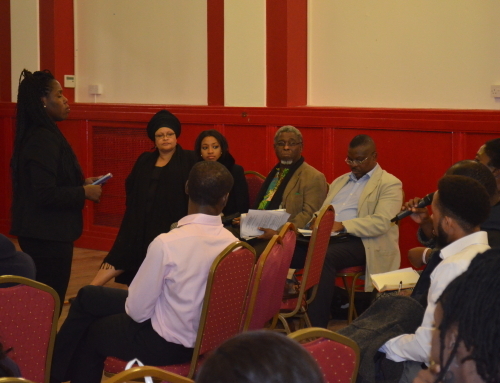 The Watford African Caribbean Association now provides services that remains relevant to the needs of the growing community and wishes to continue to do so. It runs several services including an elderly persons project which provides a luncheon club and a carers befriending scheme; there is a sickle cell and thalassemia support group as well as the supplementary school. 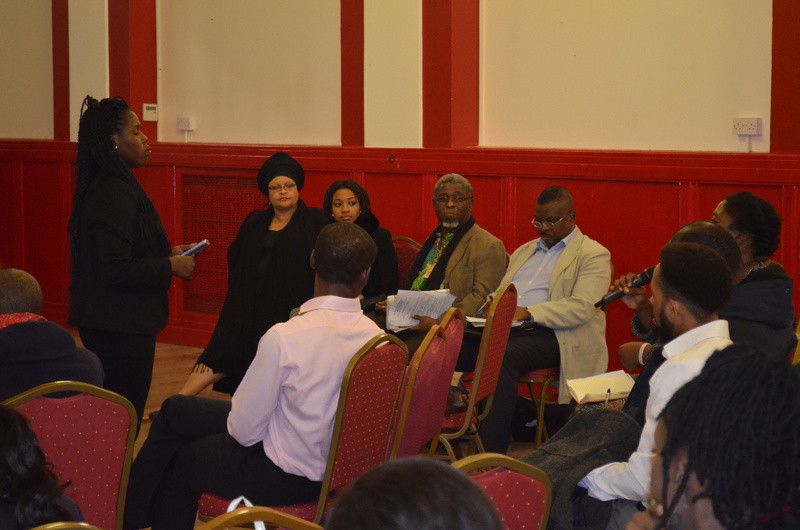 It also provides numerous opportunities for volunteering for African heritage residents and there are several cultural and social activities that engage with everyone and encourage the involvement of all for the betterment of the community. But while the organisation has maintained its focus on meeting the educational, health, social care, cultural and social care needs of the community, the African and Caribbean heritage population has grown in an astronomical way, it is no longer just less than 500 people, it is now over 6600 people representing nearly 7.50% of the population. 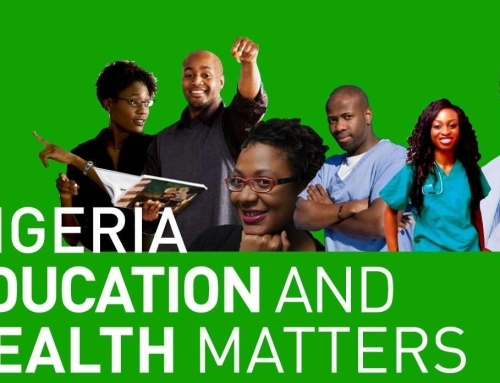 In that time, the needs may have changed and become more complex, there are first generation, second generation and even third generation people of African and Caribbean heritage. There are now more African people than Caribbean people in Watford. 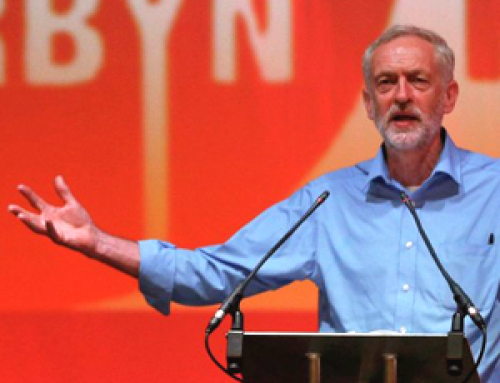 The organisation is now at the crossroads. 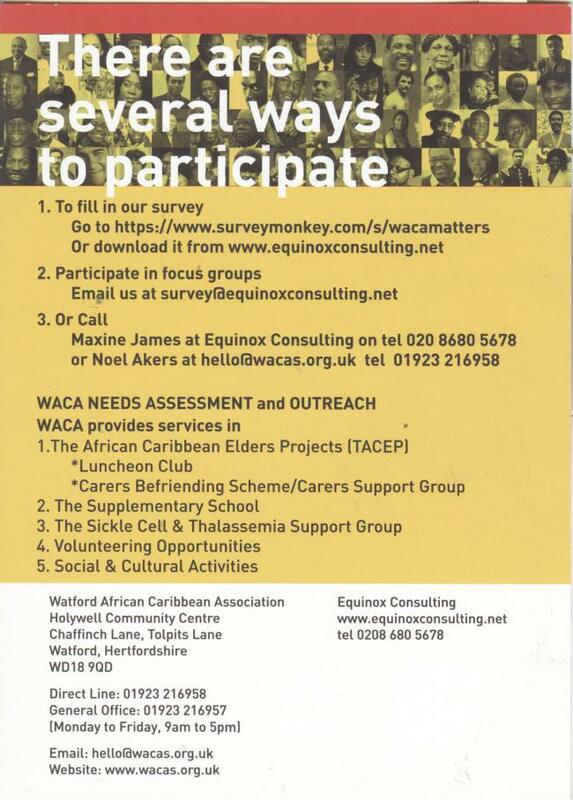 With a higher population demanding its services and with funding cuts eminent, WACA is seeking to make the changes necessary to ensure that it remains relevant particularly to the needs of the enlarged African and Caribbean heritage community in Watford and the surrounding areas. A survey of community views has been commissioned and they are inviting all persons to be involved. Or alternatively please contact Maxine James of Equinox Consulting who have been commissioned to run this survey on survey@equinoxconsulting.net or on 02086805678 or go to their website at www.equinoxconsulting.net for more information and download a questionnaire to fill and return.